Every once in a while a product comes along that truly separates itself from the crowd. The Vision Aurora is a bottom fed “squeezer” that will be the hit of the party. You can drip OR squeeze your e-liquid up into the dual coils and continuously vape as the e liquid dispenses into the tank. Simply genius! 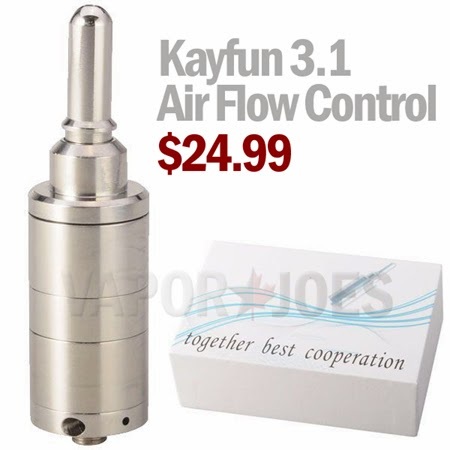 Here is a great deal on the Kayfun 3.1 w/ Air flow control. One of the best deals going for a USA vendor. If you were looking to get into a Kayfun style vape – look no further. The Kayfun 3.1 atomizer is a copy of the popular Kayfun Lite by SvorMesto. Even the parts match one another. There is one big difference though: the clone has adjustable air-flow control! The Kayfun 3.1 is a rebuildable silica atomizer made out of 303 Stainless Steel. With adjustable airflow, a bottom screw fill hole and an adjustable 510 connection, you’ll be hard pressed to find a better clone atomizer of this quality. The main 18350 tube of the Geobukseon/Turtle Ship replica features the signature UVO Korean laser etched engravings on both the front and back side. 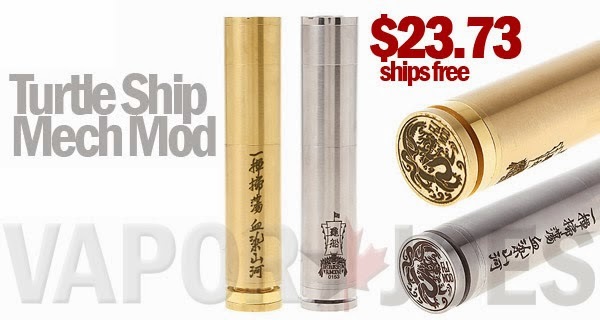 These Turtle Ship replicas are composed of 100% stainless steel or brass and come with a total of 3 battery tubes to be able to easily change the length of your device and to accommodate an 18350, 18490 or 18650 battery. 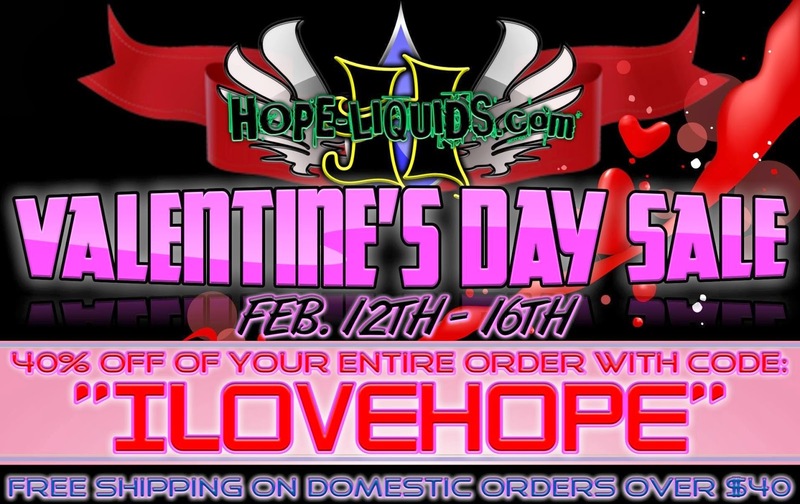 Hope-Liquids is running a big 40% sale on all their liquids. Now would be a great time to stock up on your favorites or give them a try! It doesnt get cheaper then this. The sale runs through the 16th. Some of my personal favorites is “Heard it through the Grape Vine” and “Coconut Cream Pie”. They finally got the gold plated version right. The 22mm version has been a long time coming. 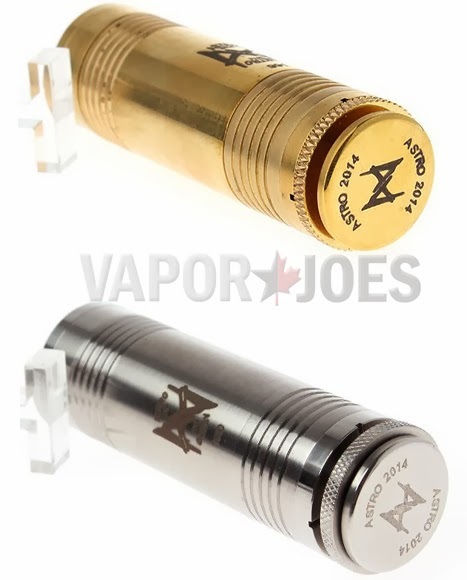 This one is constructed of stainless steel / gold plating and features a deep drip well with a three post configuration ideal for thirsty dual coil builds. Holes through the posts and phillips screws mean it’s an easy build and won’t have you hunting for allen keys. Drip is included. The IGO-W is a tried a true dual coil rebuildable. This RBA is made of stainless steel, has three posts, and 2 air holes. The posts can be set up in a single or dual coil build. This price is pretty incredible. These are compatible with the Keg Cap. 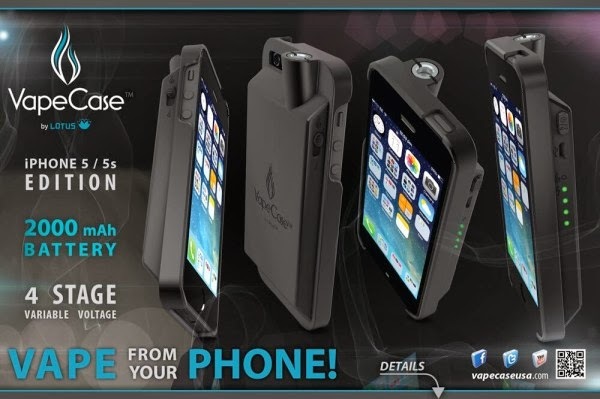 Here is a great deal on the Iphone 5 / 5S Vapecase. These are normally sold for $99.99 – today Vaportekusa gave us an exclusive deal for $73.46. I have one and they work great and really do protect your phone. Check out the informational video below to get a better understanding of this revolutionary idea. Another nice mechanical replica has hit the streets today. The Astro is now being offered in both stainless steel and brass. This attractive mechanical uses a bottom button and has a telescopic design. A true stealth set up! Here is a good deal on “The Gripper”. 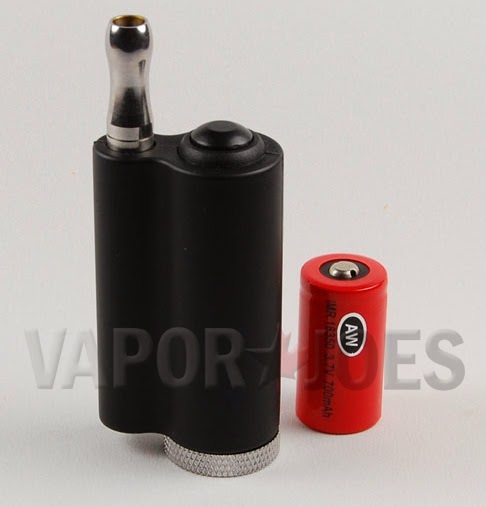 Its a small stealthy mod that uses a single 18350 battery. The entire cartomizer is hidden from view. 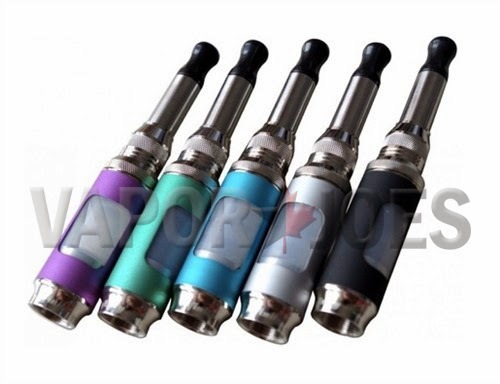 If you wish to use an atomizer they do sell an extender. Great for a 1st mod, a stealth portable, or a backup. For the cost of an Njoy disposable, you can get this. The gripper measures only about 3.5″ tall with the drip tip installed! 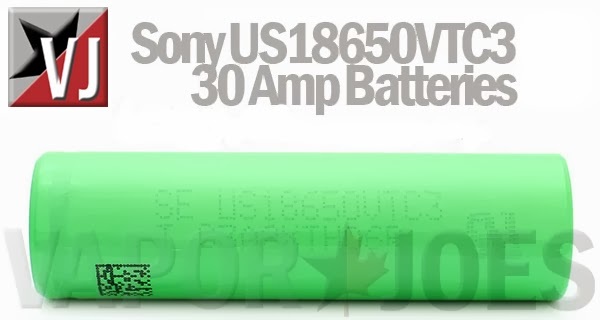 The gripper uses a protected 3.7 volt, 18350 Li-ion battery and a requires a cartomizer at least 44 mm long, like most of the mega length cartomizers. The carto, when screwed in recesses into the body of the Gripper leaving only the drip tip showing. This design was made so that it could fit neatly in your pocket or easily concealed in your hand making it easy to take with you anywhere. The gripper has a horn switch on top which your thumb is naturally drawn to. The black exterior has a rubberized coating giving The Gripper a good feel in the palm of your hand. 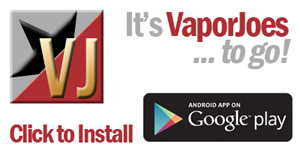 Here is a great deal on the new Innokin iTaste MVP 2.0. These are the new “Energy Edition” models. These come “pre-skinned” and have a matching Iclear 16B to complete the look. These are only $3.00 more then the original MVP 2.0 being sold at 101vape. Ohmsmeter : Reads resistance of your atomizer/cartomizer/clearomizer. So they look like Aro / Evod clearomizers don’t they? However, they are completely different and redesigned. These are a bottom coil and dual coil system that rests in a ceramic cup. These are VERY interesting and I bought a couple to check out. Get ready for the next generation of vaping with the T-Dux 2.0! While it may look like an ARO clearomizer, the coil has been completely redesigned. The coil rests in a ceramic cup, and the juice flow has been increased. What this means is that this clearomizer doesn’t leak, tastes great and produces lots of vapor! The tank is made out of Pyrex, so you don’t need to worry about certain juices cracking the tank. It utilizes the eGo threading instead of the 510 threading of your device for a flush, uniform look. With the T-Dux 2.0, you get a clean, smooth, consistent vape, every time! No leaking, no gurgling, just a great vape! The first round blew out quickly! Get in on round 2 before they are gone. I have owned one now for about 2 weeks. Its one of the best variable wattage mods I own! We had the owner on the Mod Envy show last week (the 8th) and they said they have a ton of new exciting products coming. If you consider other American designed wattage mods cost $200.00+ and some that only do voltage that are $179.00 — it puts this mod in a unique price point and position. The one year warranty is a fantastic bonus. 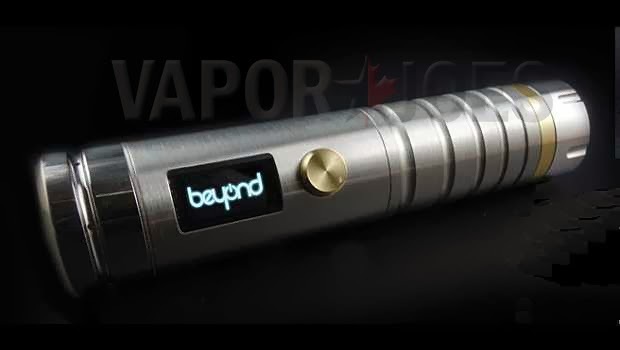 Beyond Vape in conjunction with Vapor Tek USA is proud to introduce a beautifully designed variable voltage / variable wattage device for the industry! What sets these apart from other similar device is the build quality, innovation, and design. It is proudly designed and engineered in the USA. Here is another great juice deal. 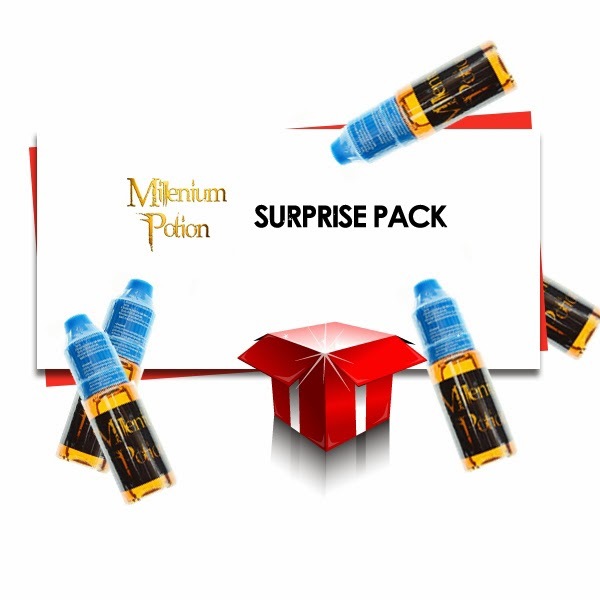 The owners of VaporDNA are running a great deal called the “Surprise Pack”. You will get 10 x 10ml bottles of their juice for just $25.20. This comes out to just $2.50 per 10ml bottle. A complete steal! 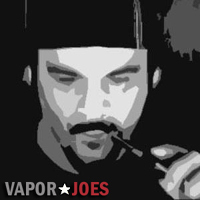 The graphic on their site says Tobacco Flavor Juice – just ignore it – they put the wrong graphic in. When you read the description its from ALL 54 flavors they have. I don’t care if these were being shipped from Mars – the price is too good to pass up! 1600mAh Batteries for just $4.84 apiece. You should load up while they are in stock! Two weeks ago I posted this deal and it exploded. Many of the different gauges sold out – it seems they have restocked the listing. I just wanted to keep those looking for wire in the loop on this.